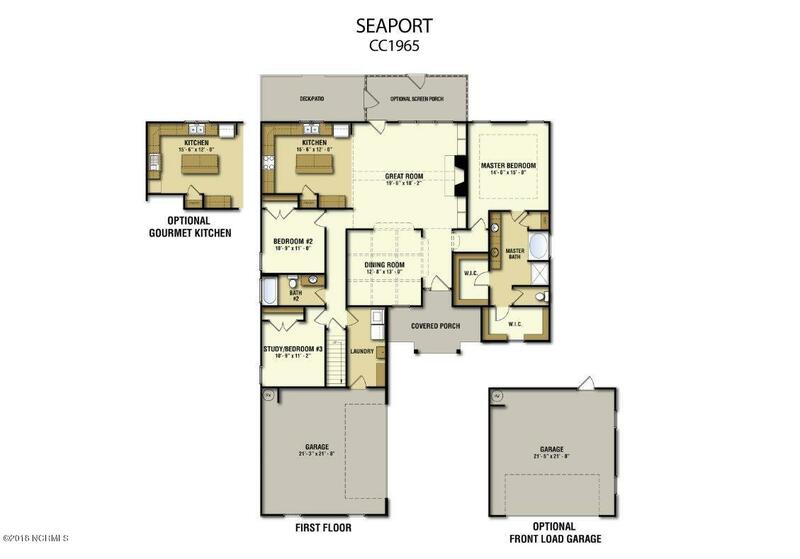 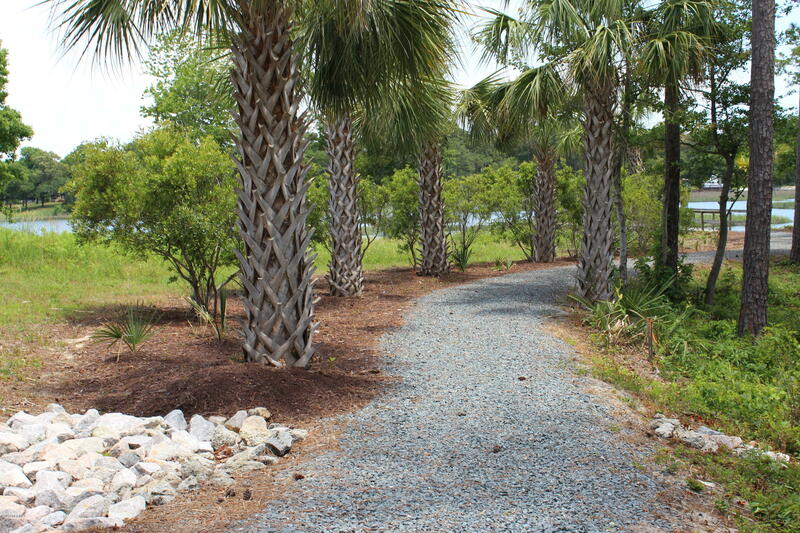 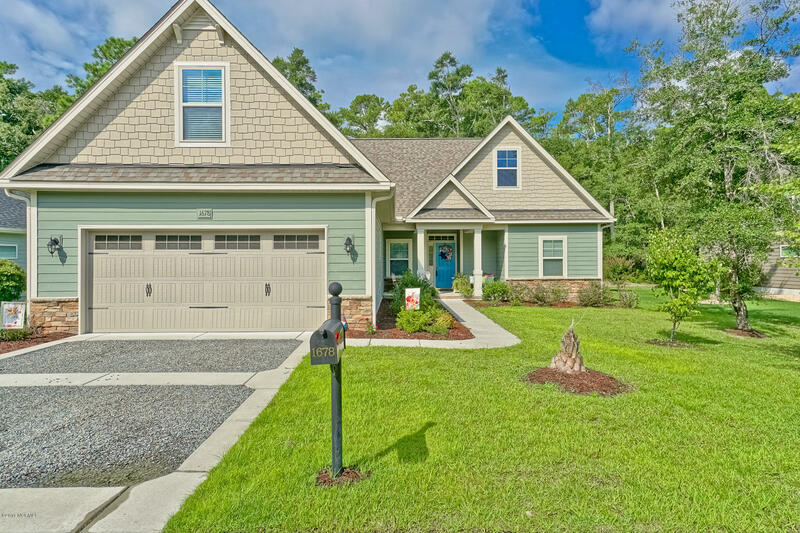 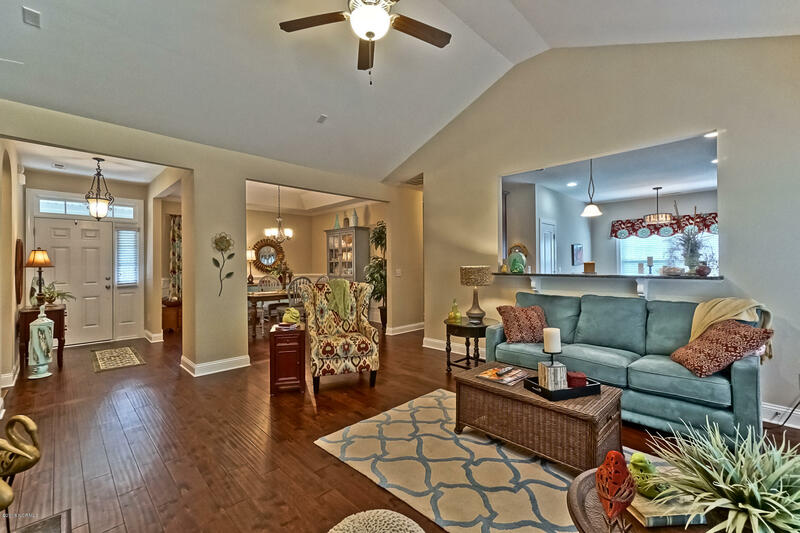 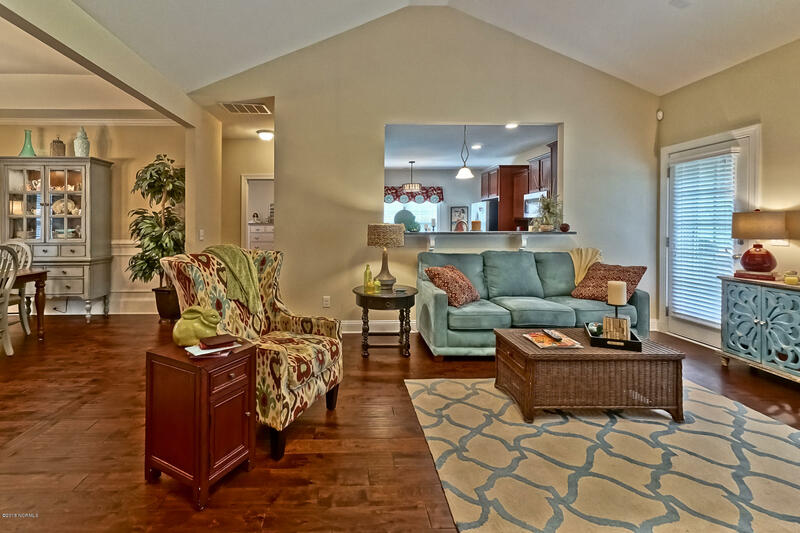 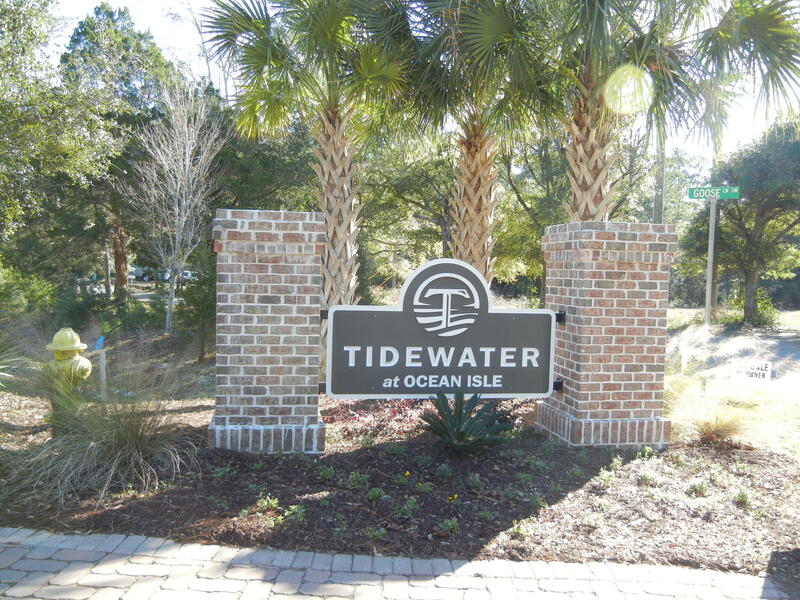 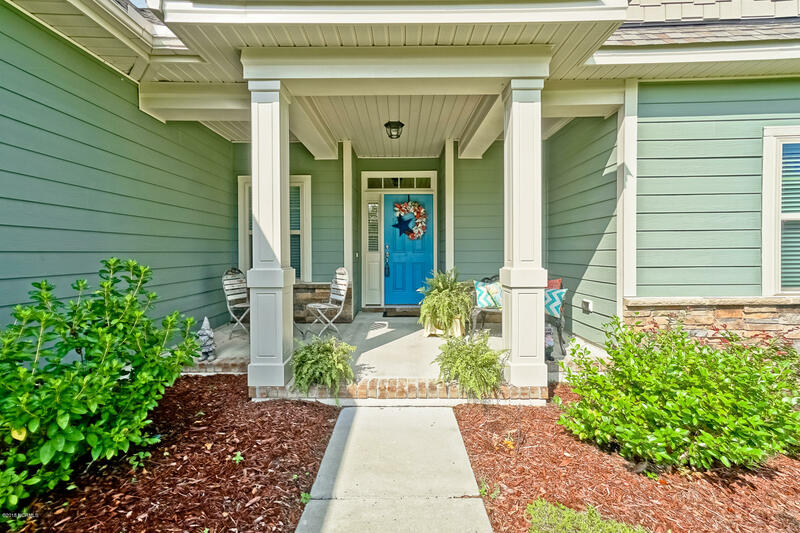 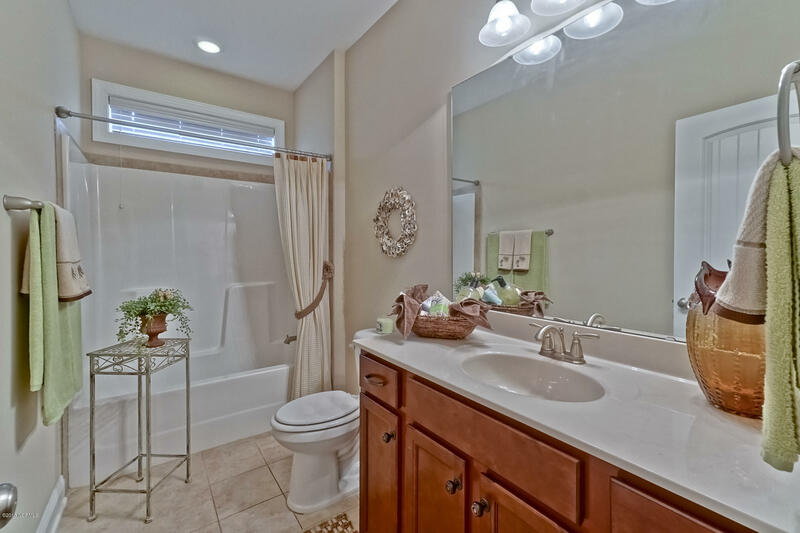 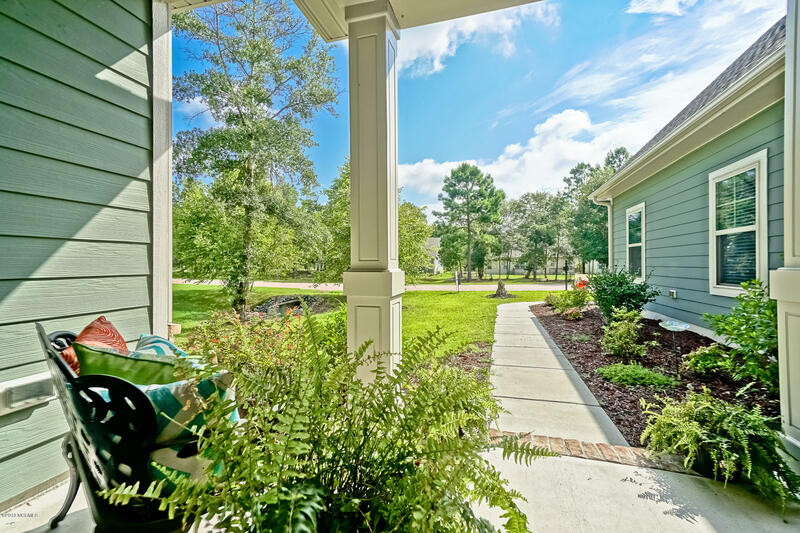 Immaculate home in the waterfront community of Tidewater at Ocean Isle Beach. 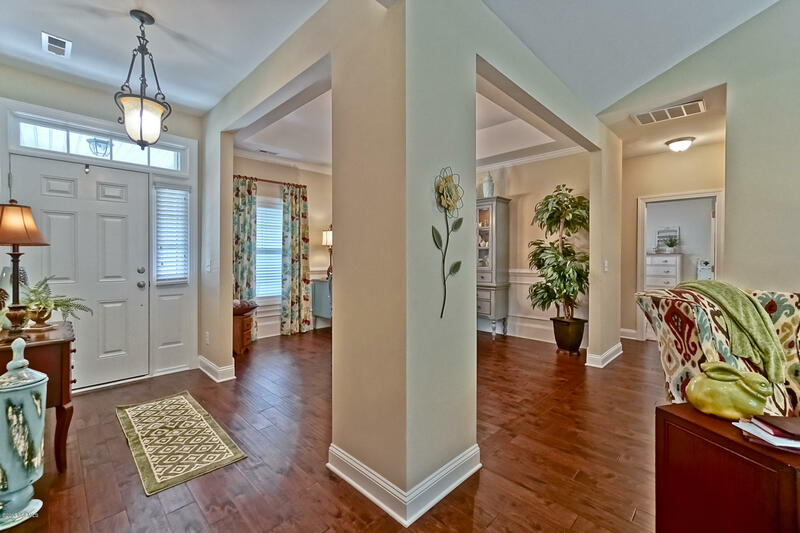 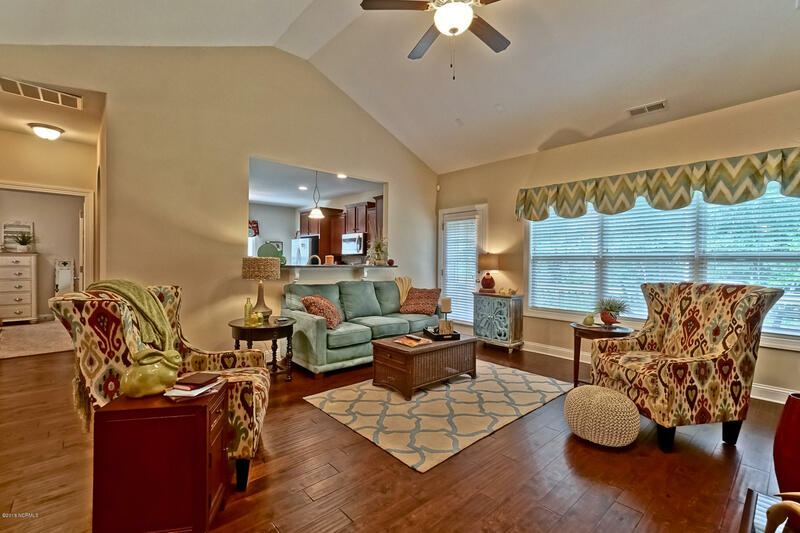 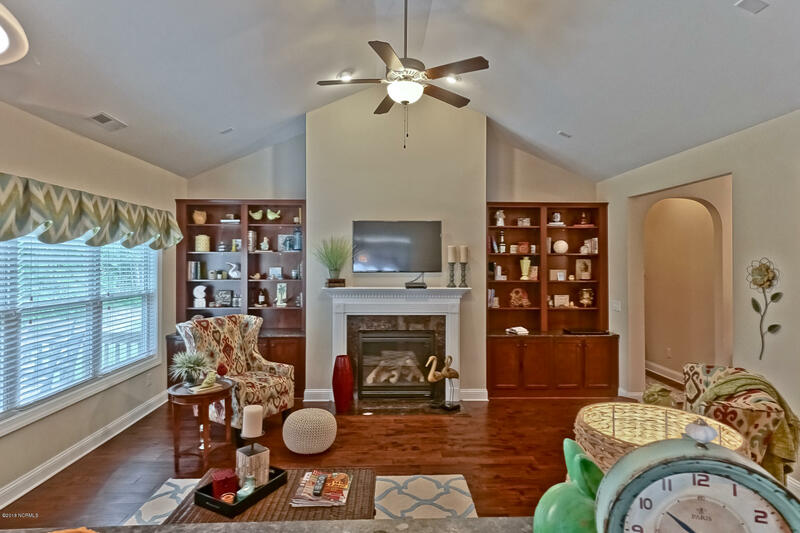 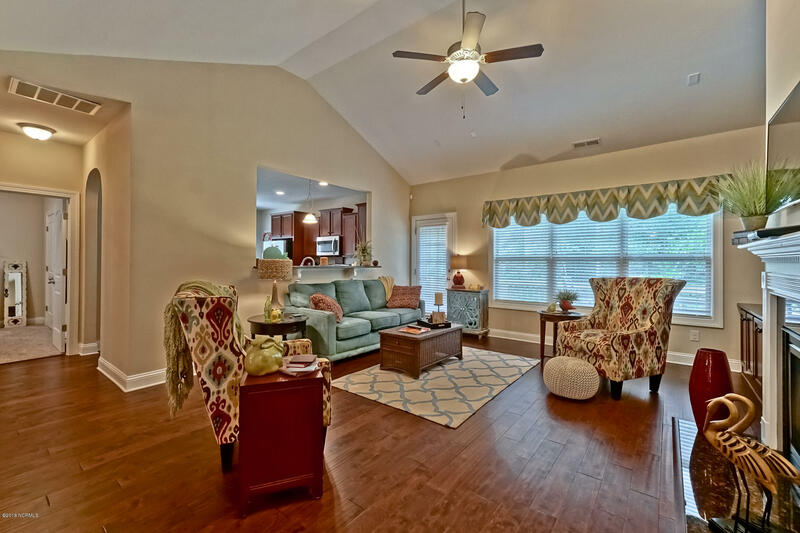 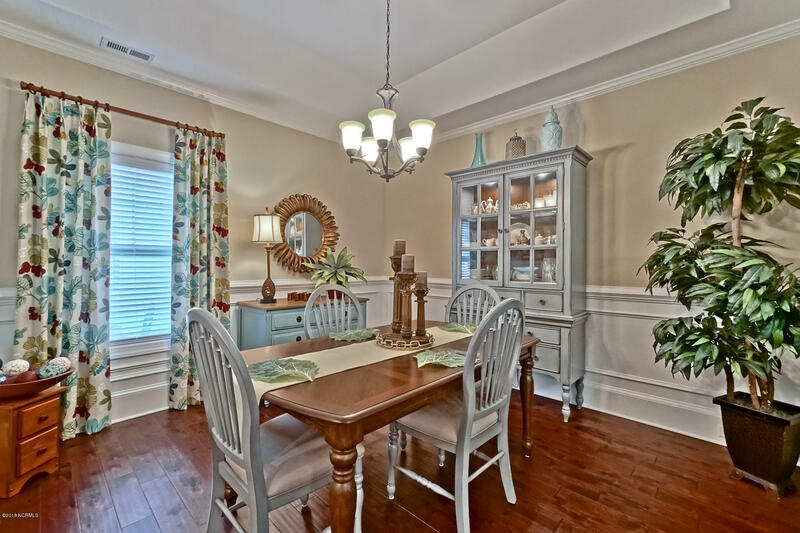 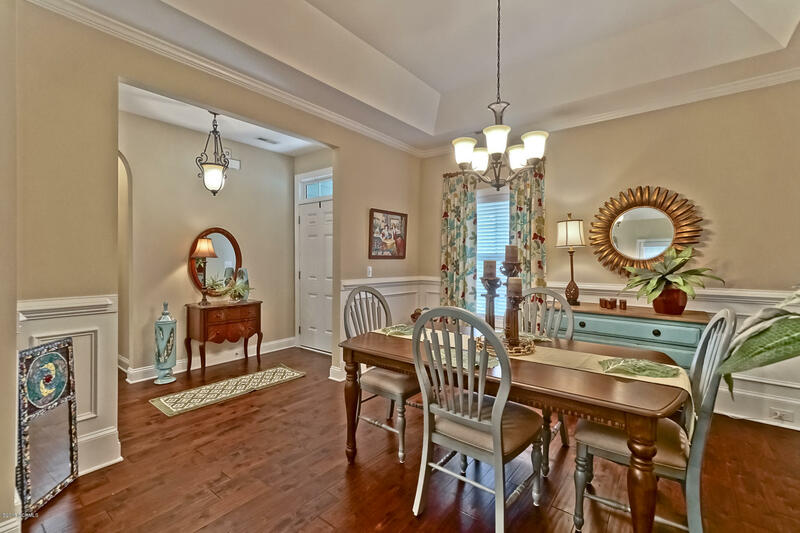 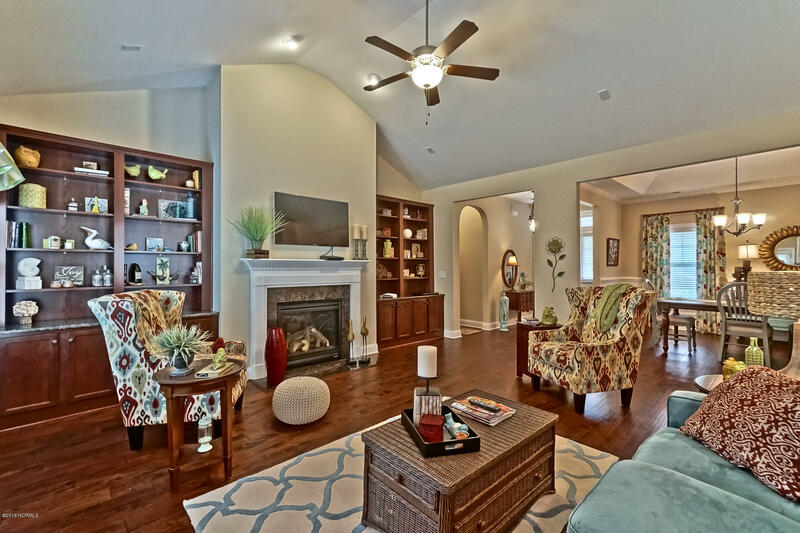 The home shows like a model and features an open and airy great room with fireplace, decorative mantle, and custom built-ins on either side, and formal dining room with tray ceiling. 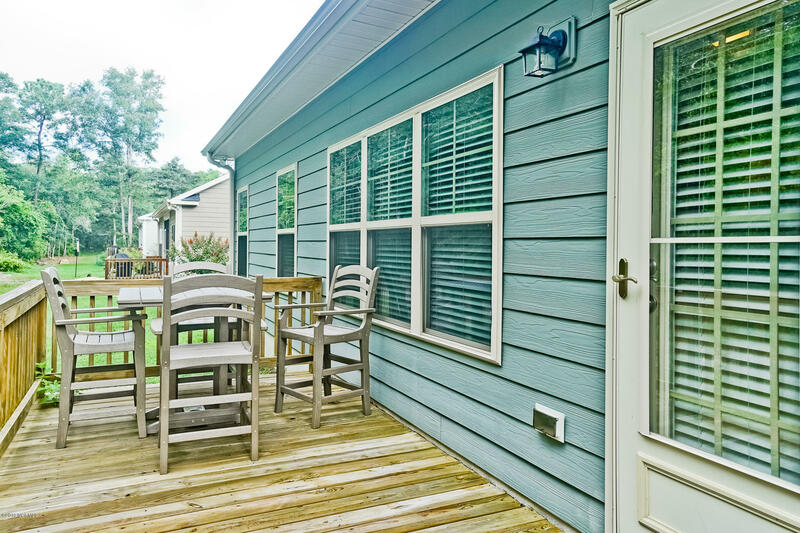 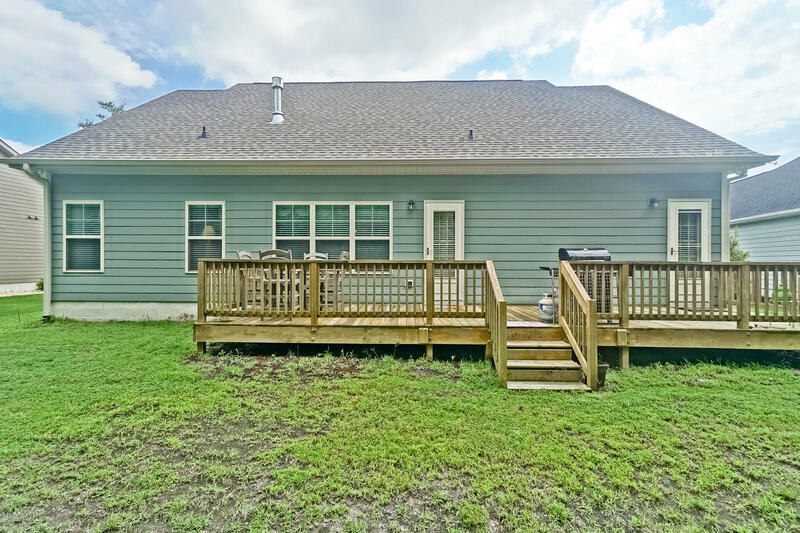 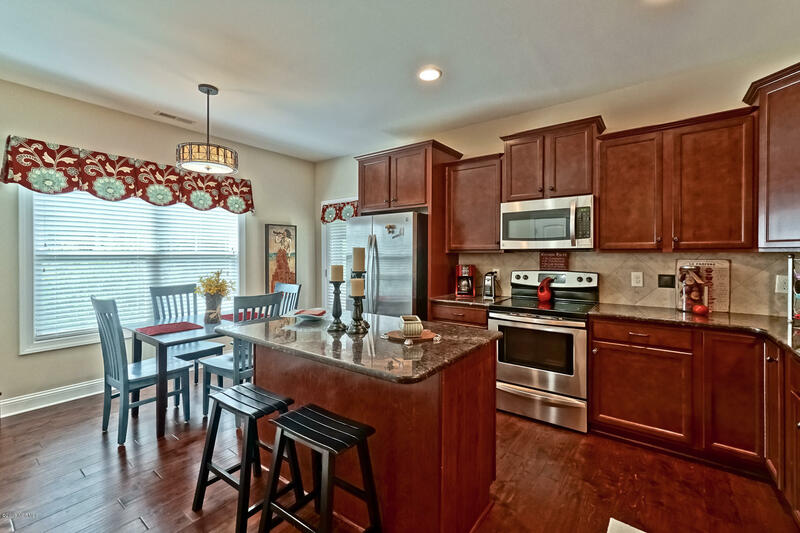 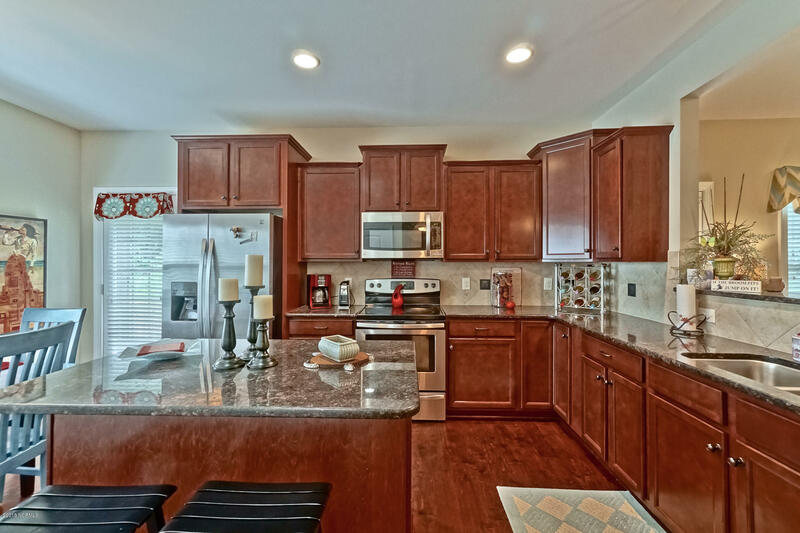 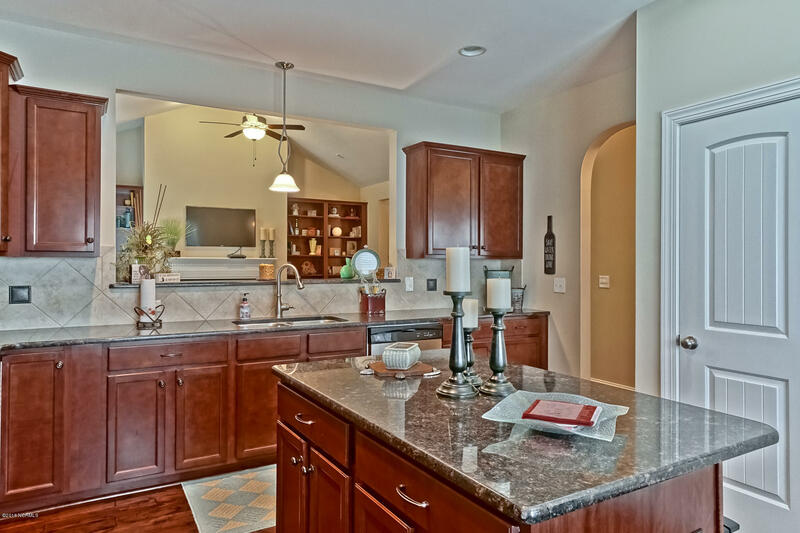 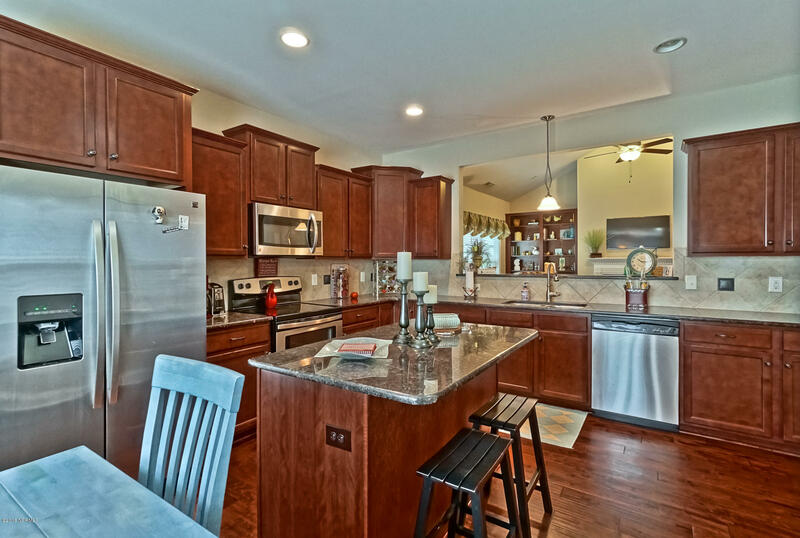 Kitchen boast granite countertops, stainless steel appliances, and tons of cabinet and counter space with island, pantry and access to expansive rear deck. 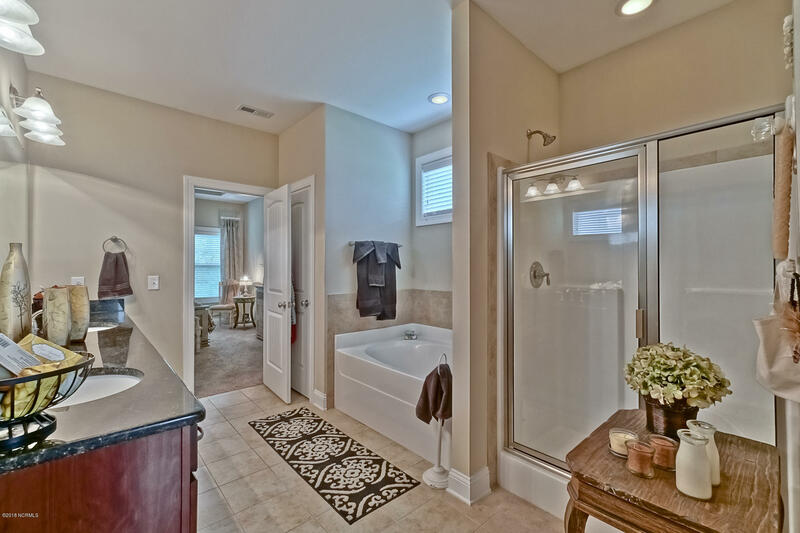 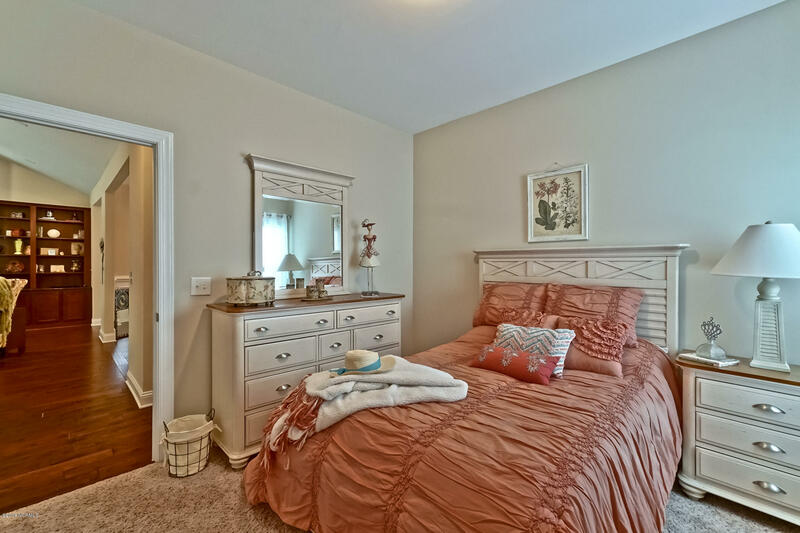 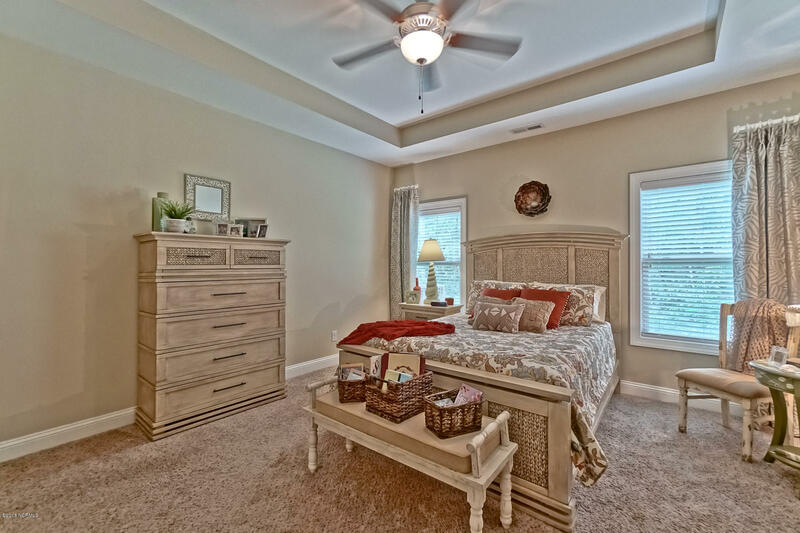 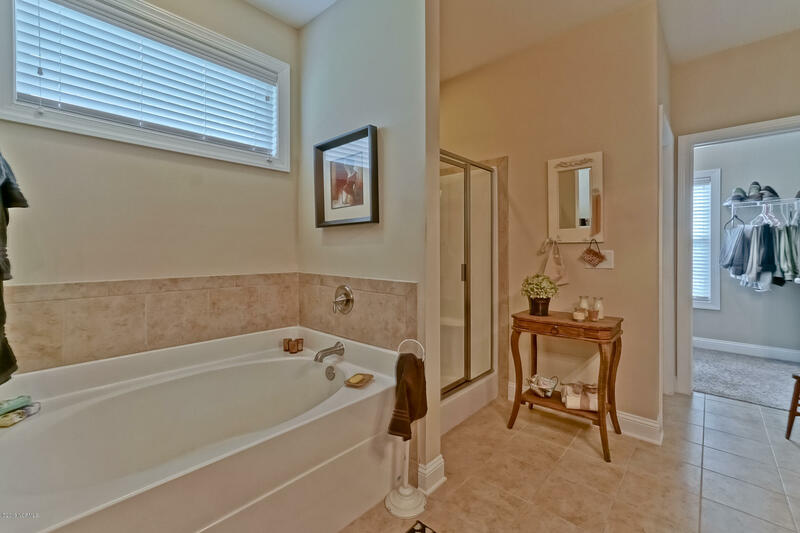 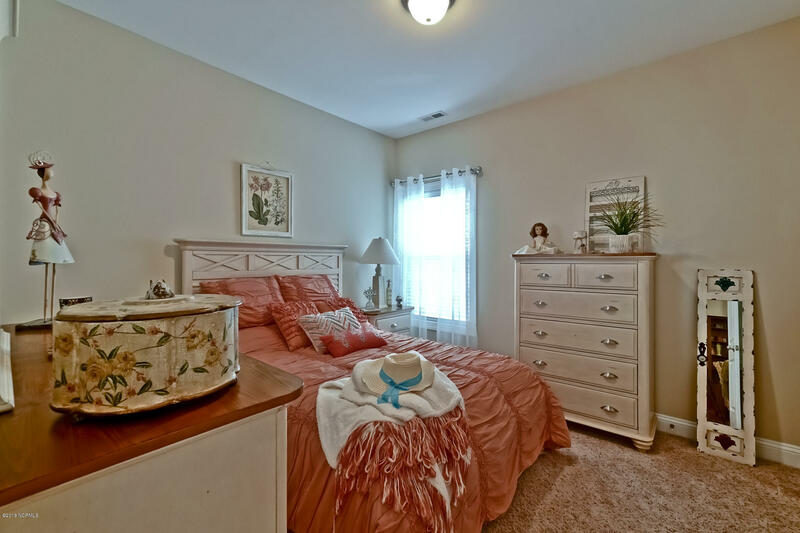 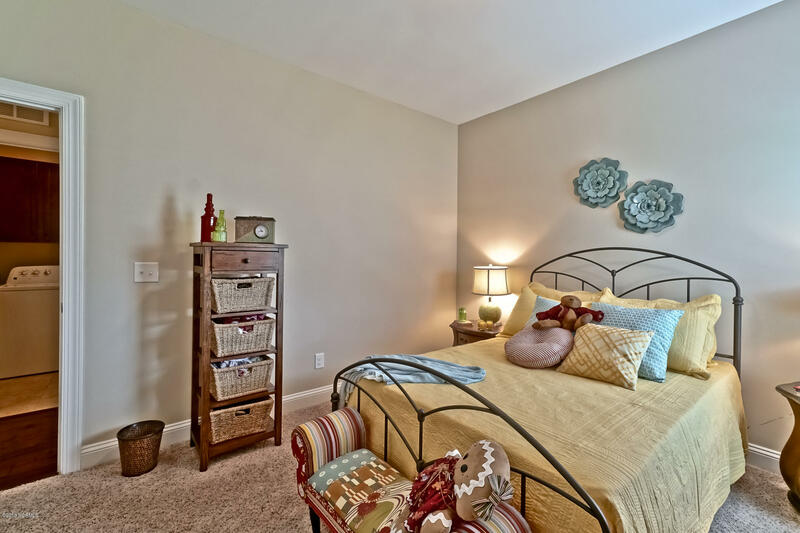 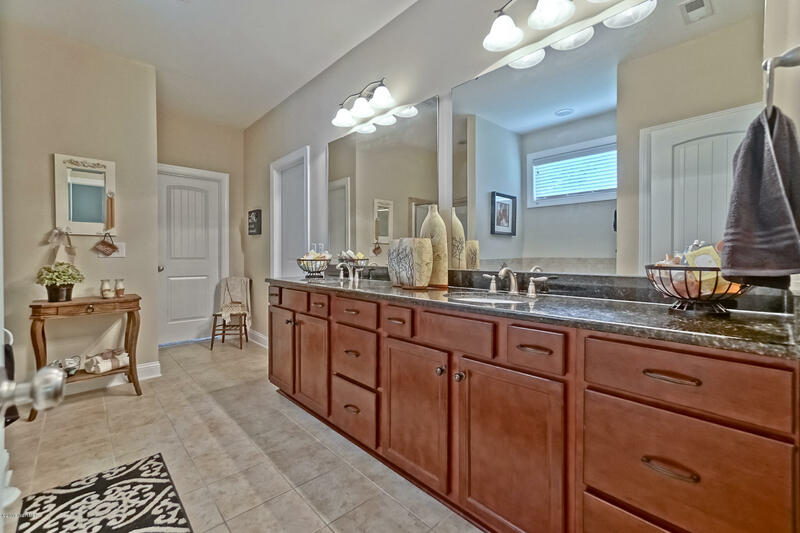 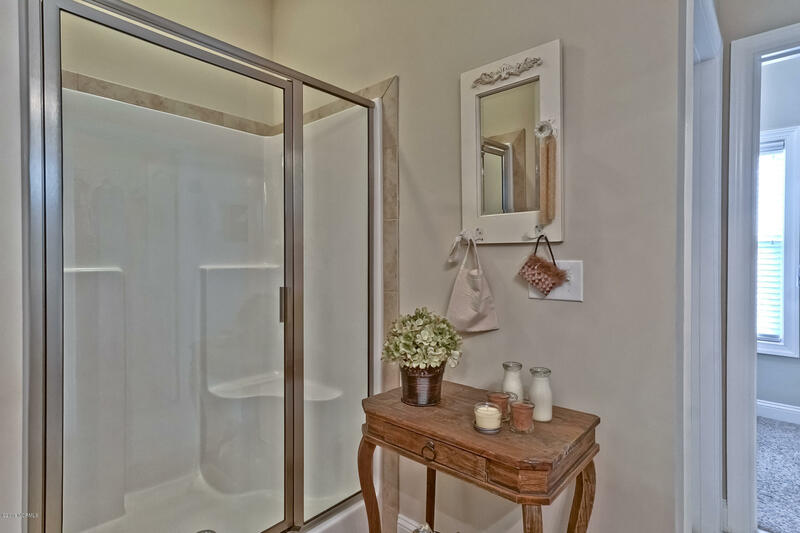 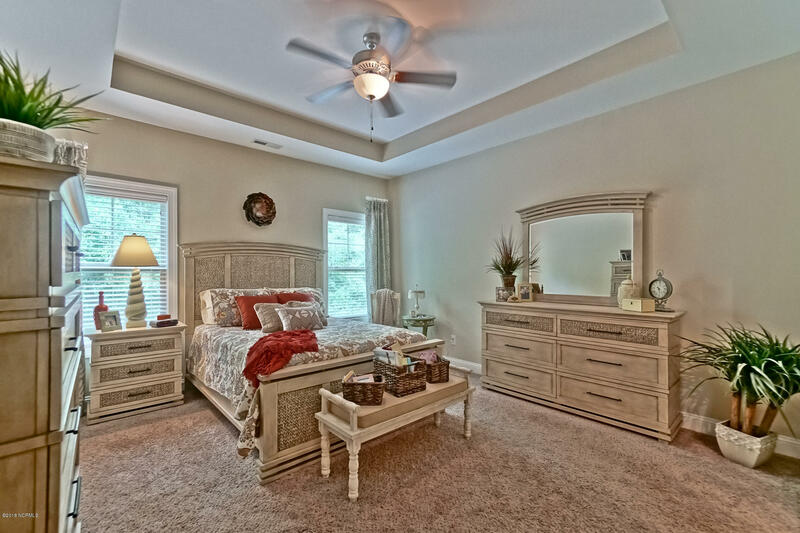 Spacious master suite with tray ceiling, two separate walk-in closets, garden tub, walk-in shower, his and hers sinks and private water closet. 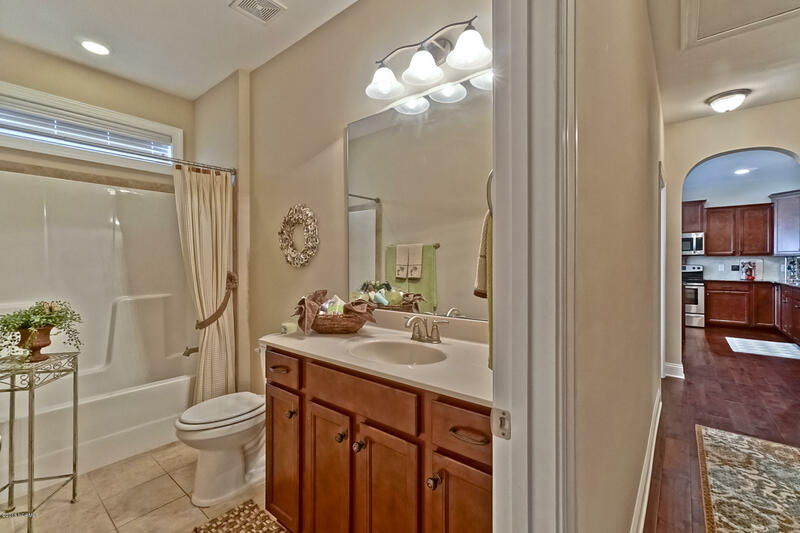 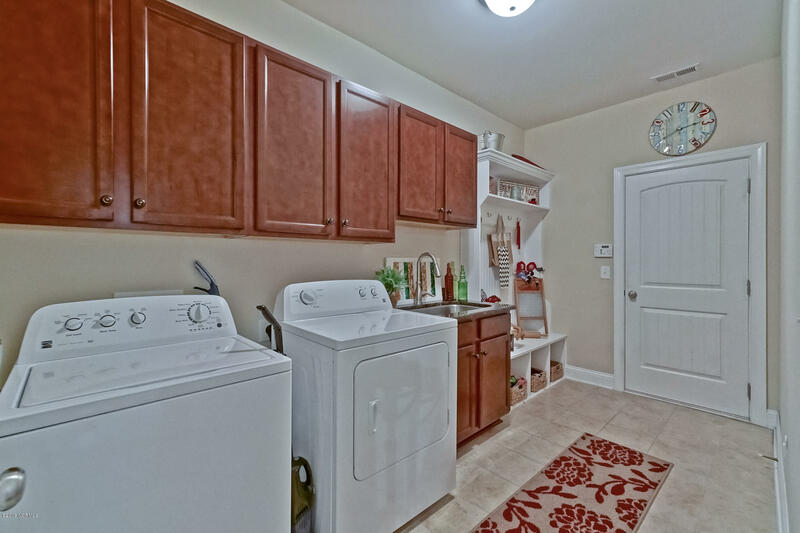 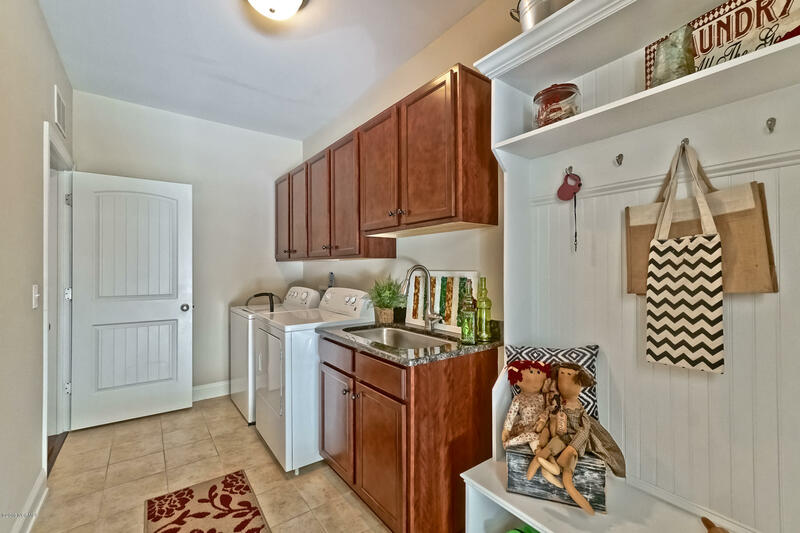 Laundry/mud room with coat rack station, sink and access to garage and additional bonus room upstairs. 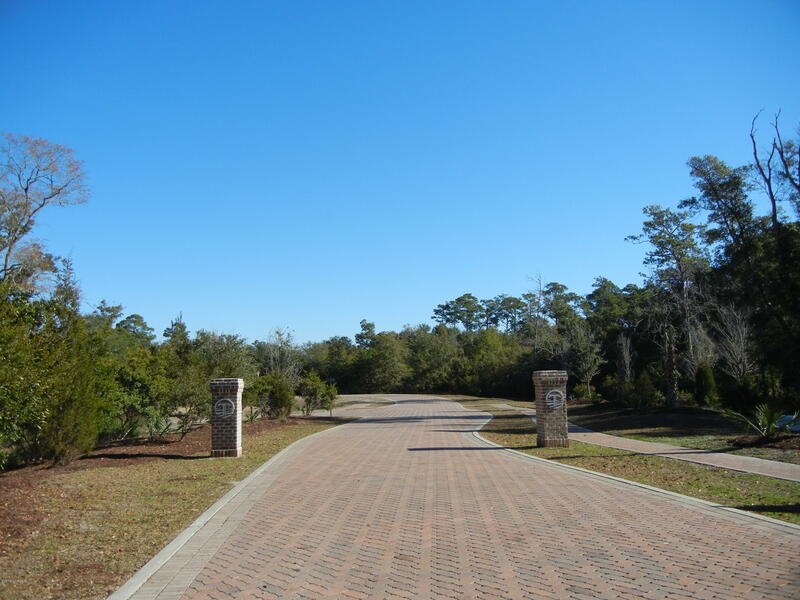 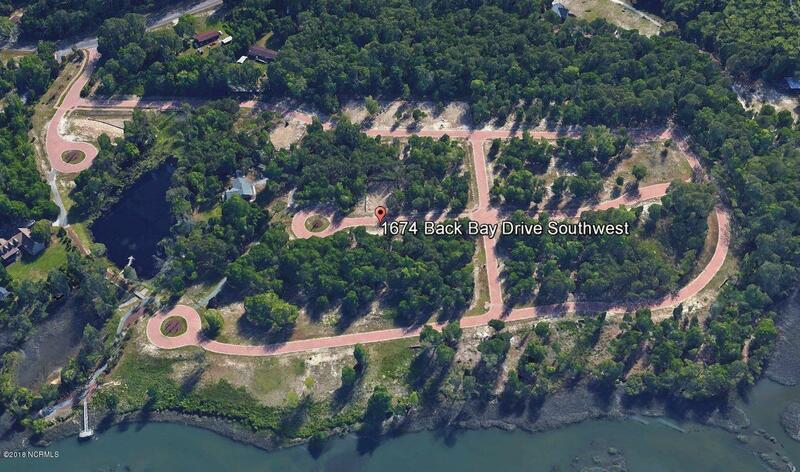 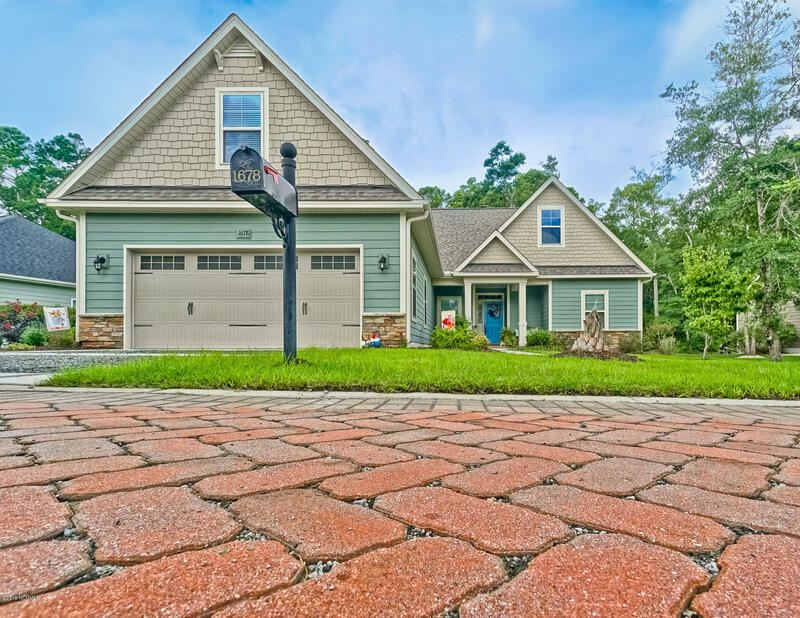 Discover Tidewater's astonishing views and appealing brick paver roads. 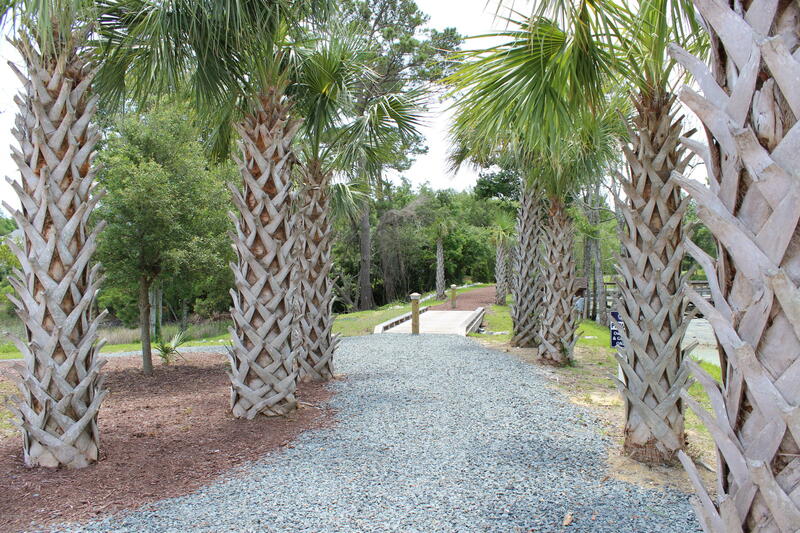 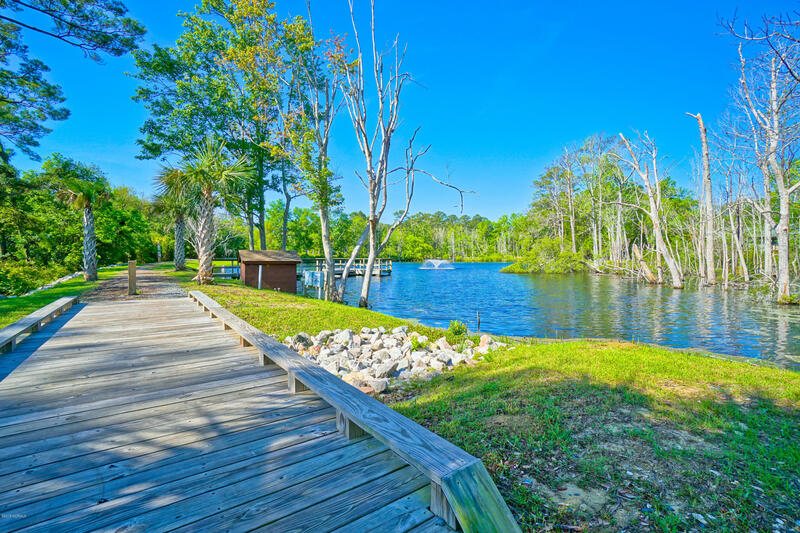 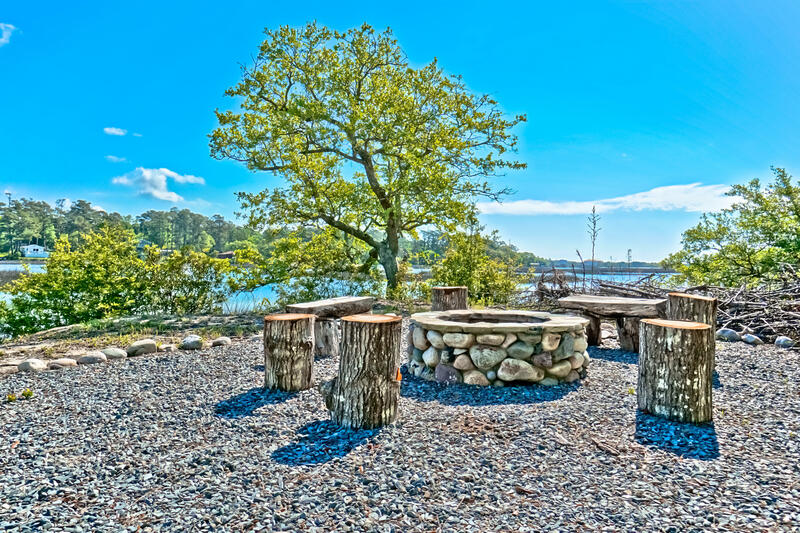 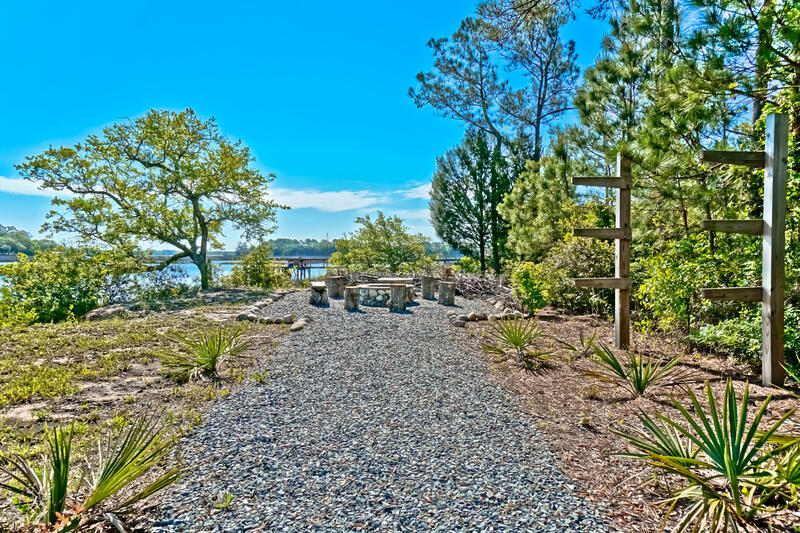 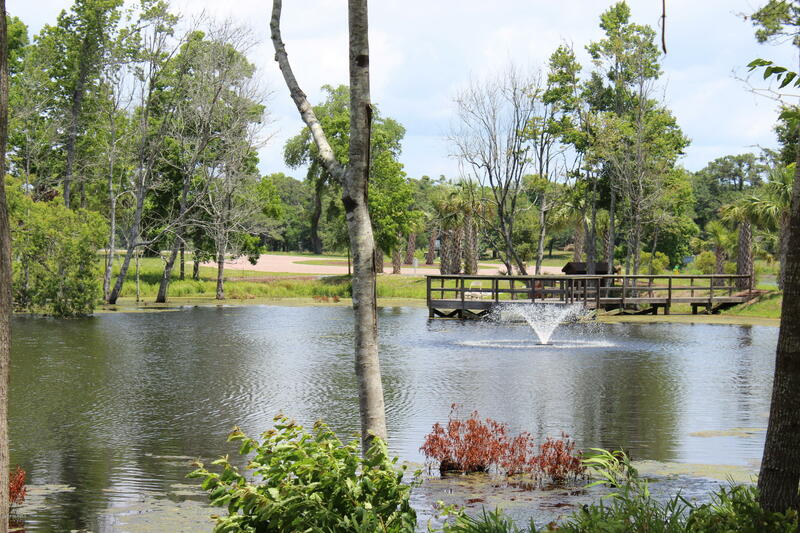 Amenities include fire pit, pond with pier, and canoe pier with kayak racks. 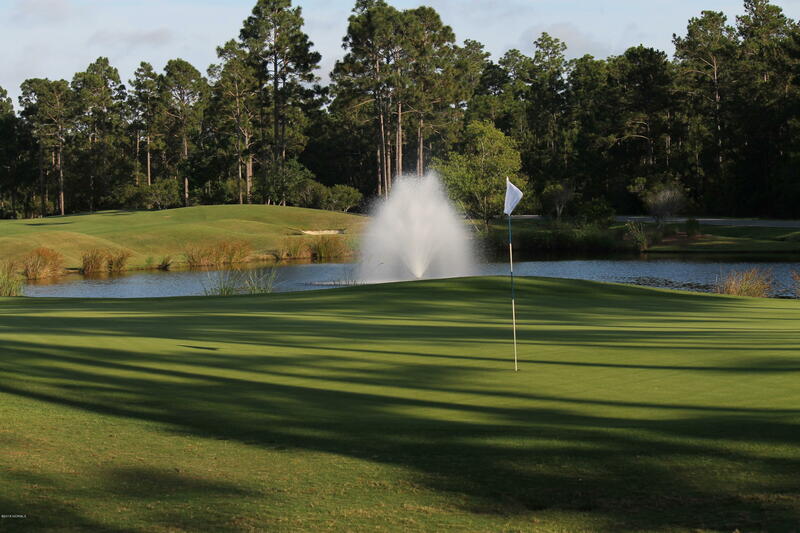 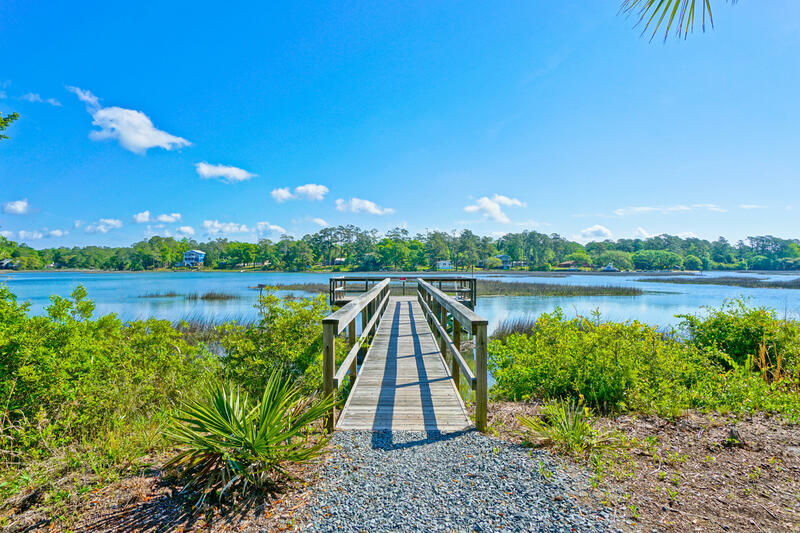 Experience coastal living at its best with area beaches, shopping, dining, golfing, nightlife and fishing. 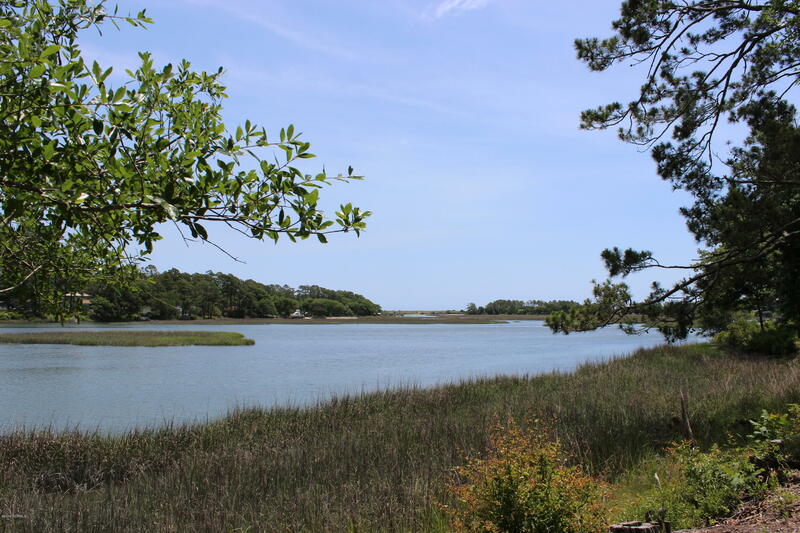 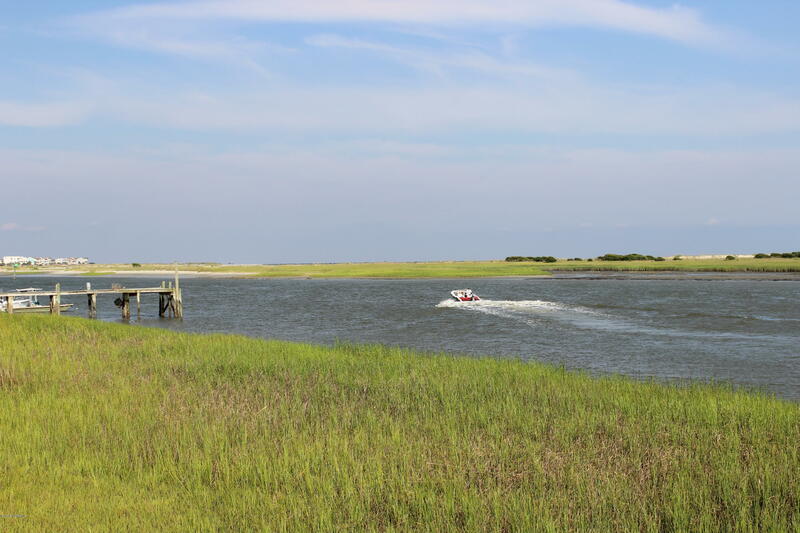 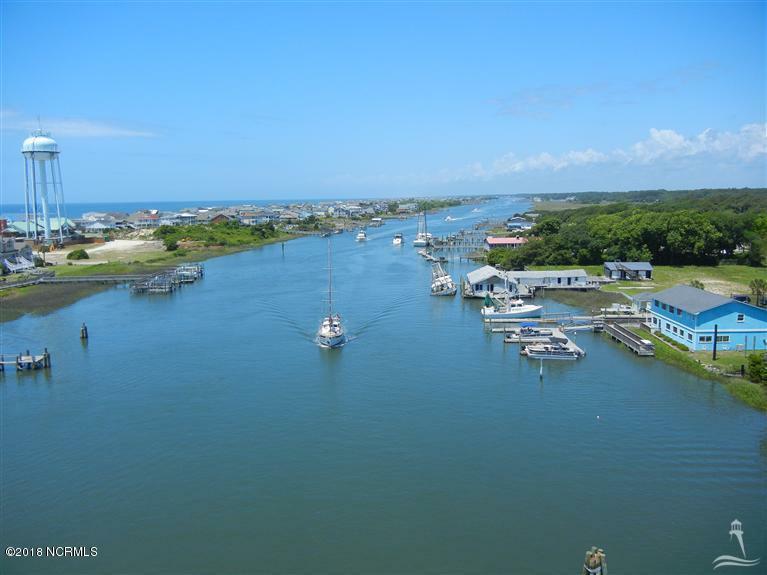 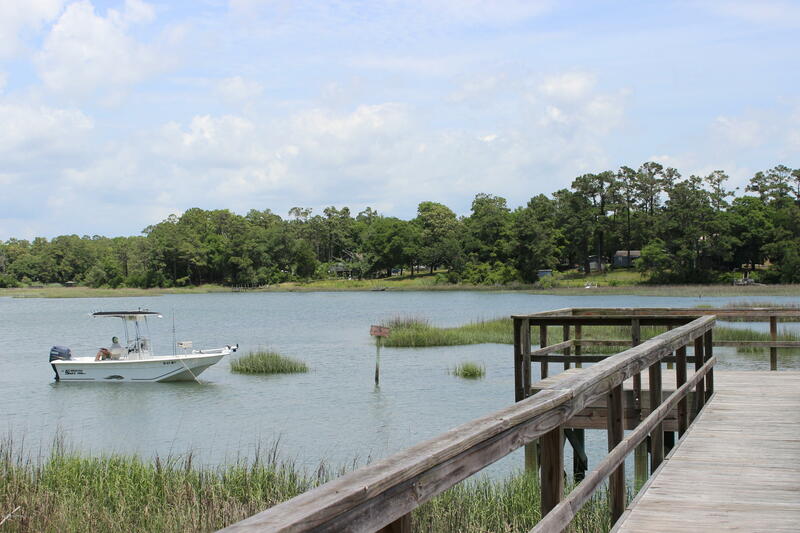 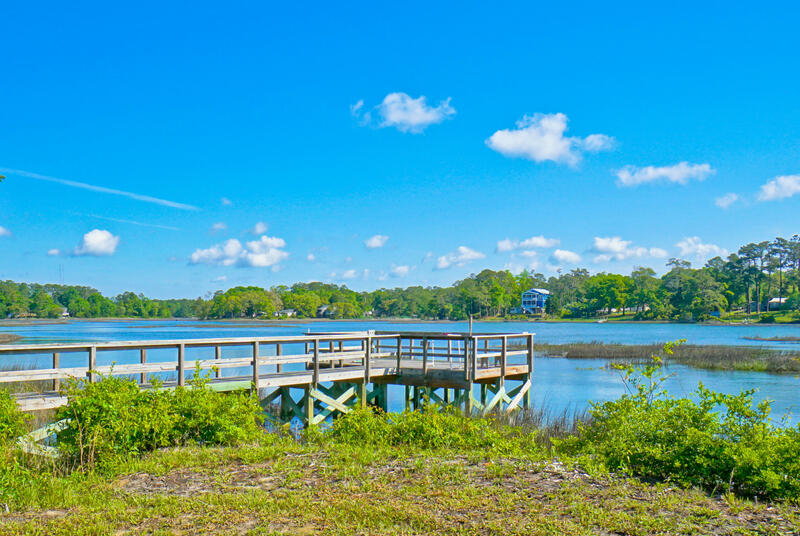 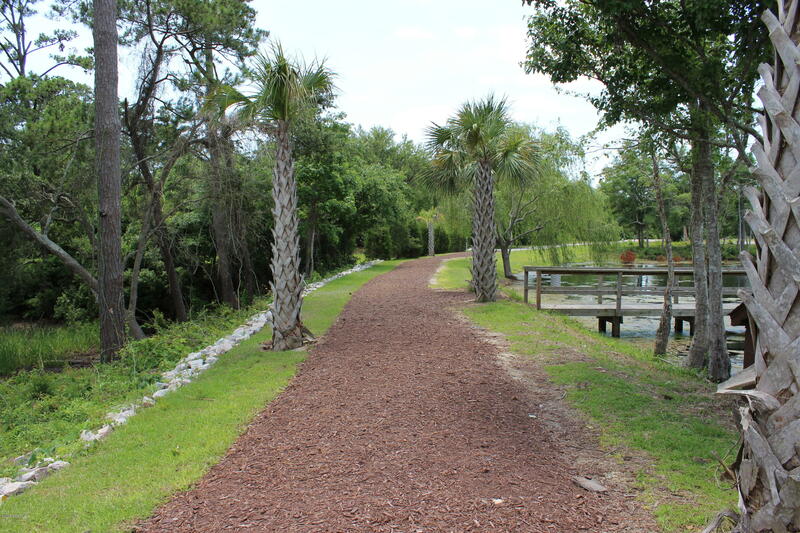 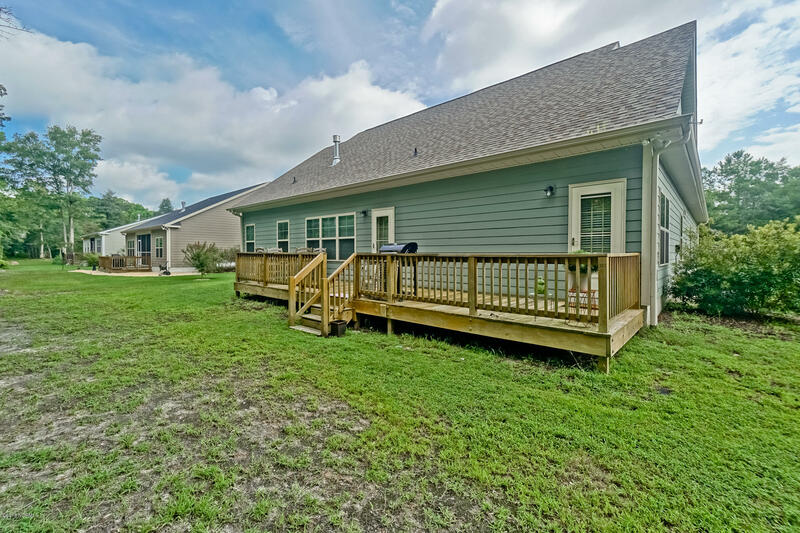 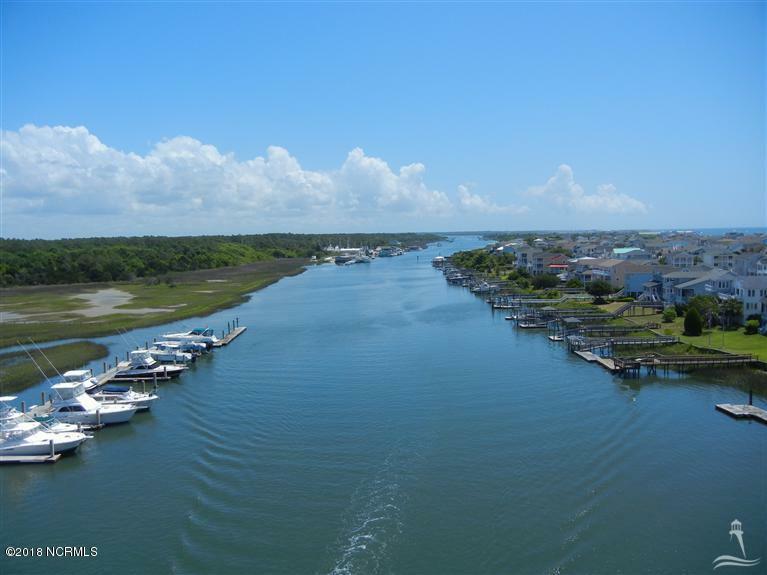 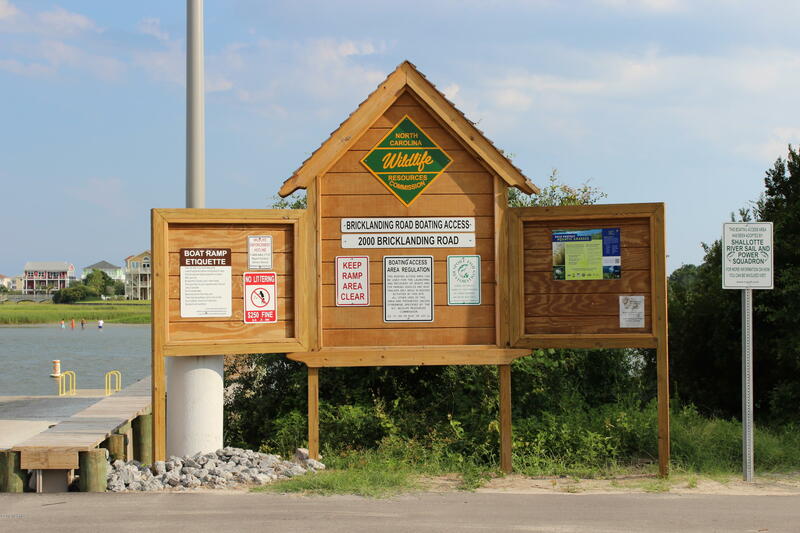 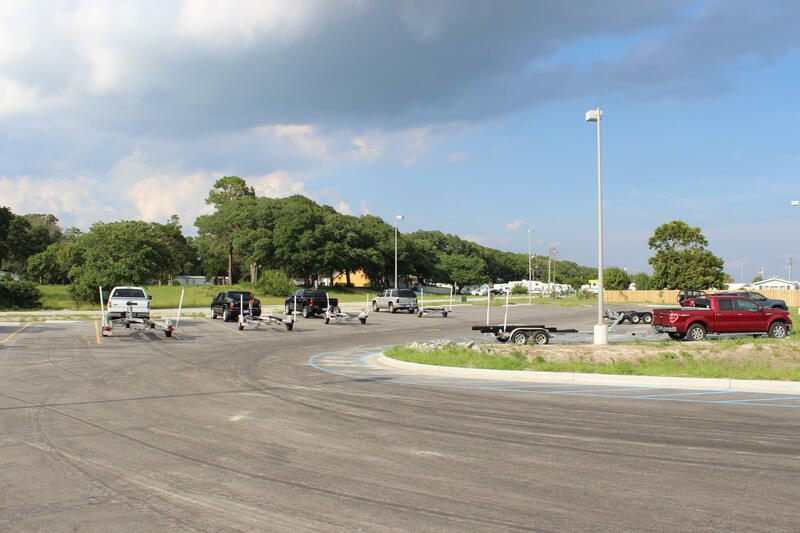 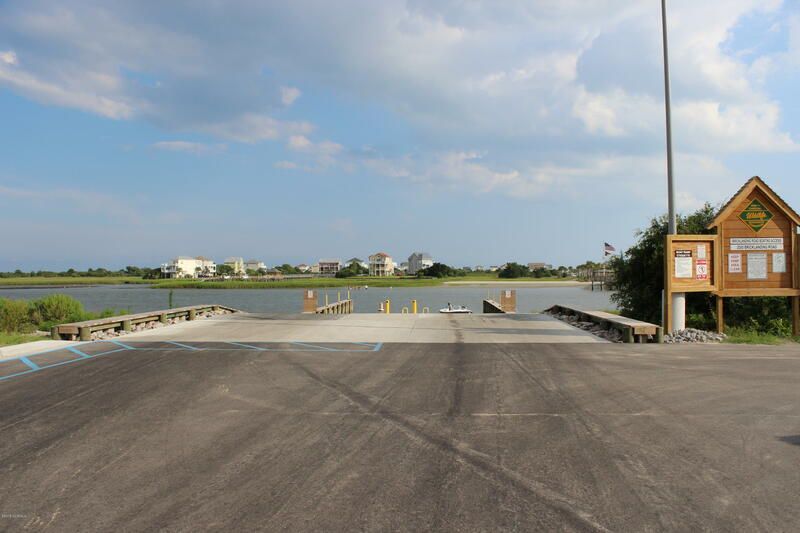 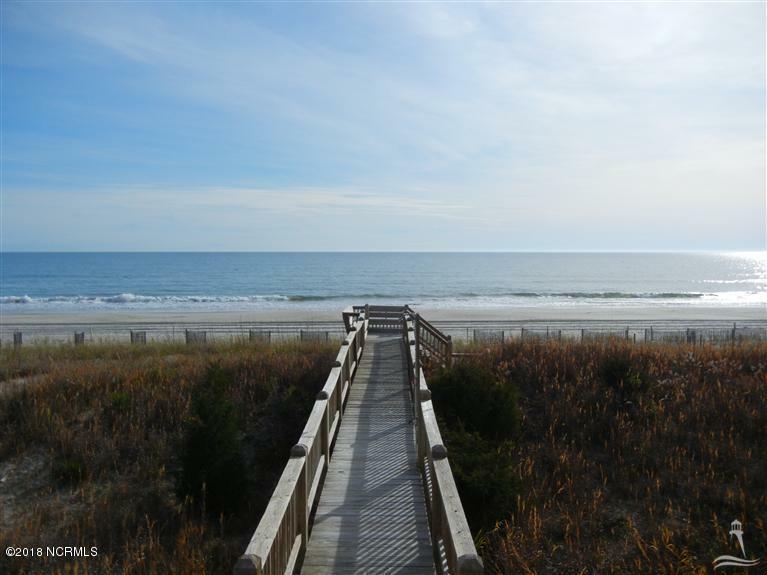 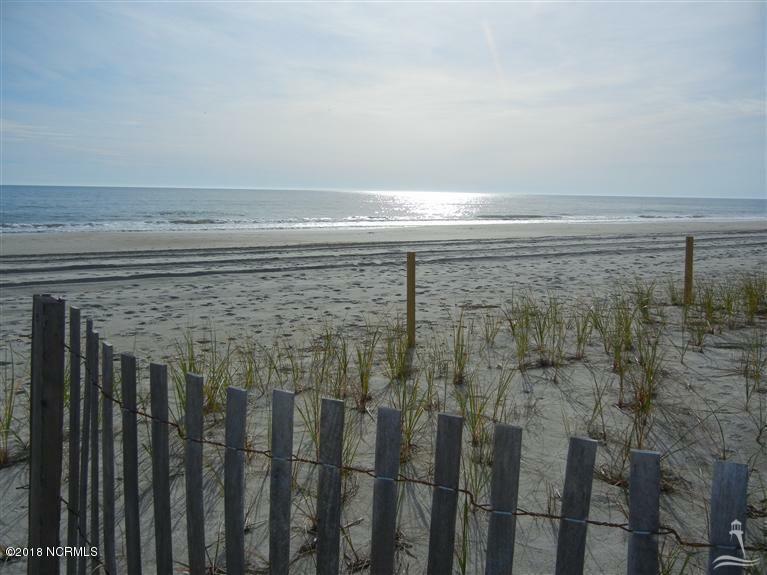 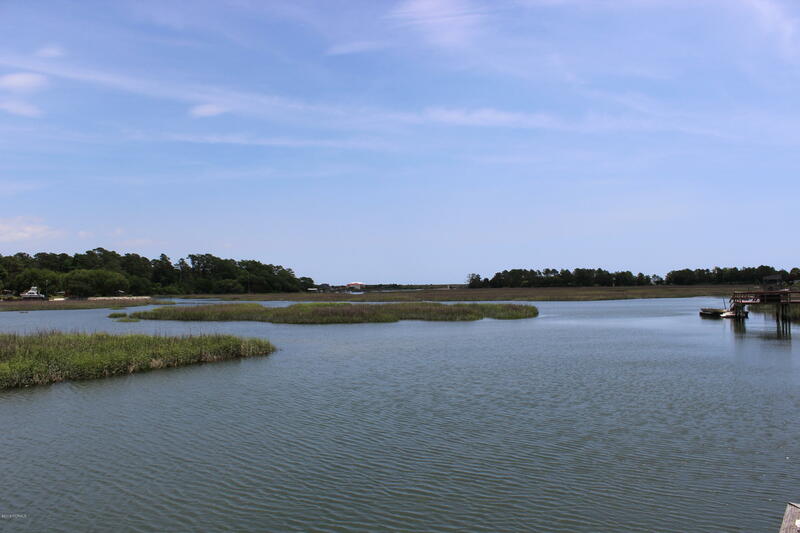 Short 5 minute drive to Ocean Isle Beach and Shallotte.